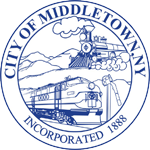 It is once again my honor and privilege to present to you a detailed summary of the activities and services provided to our community by the City of Middletown Police Department in 2018. This past year brought with it a host of new experiences and great successes for our agency, and we sought to build upon our 130 year old tradition of providing our residents and businesses with the highest level of law enforcement service possible. On a daily basis, I am humbled by the extraordinary commitment and devotion of the men and women who work for our police department. Their dedication ensures that our community remains a safe and secure place to make a home and raise a family. Our community continues to grow and expand, and our needs have become much more varied and diverse. Nevertheless, I can confidently state that our agency is well-prepared and highly trained, and that our officers will work tirelessly to protect and serve this great city for generations to come. Statistically, the City of Middletown Police Department continues to make advancements in reducing crime and enhancing the safety of our community. 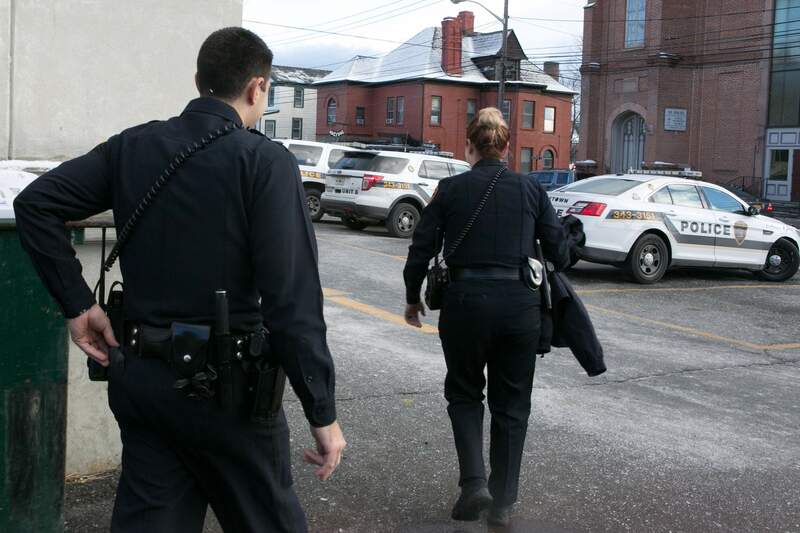 In 2018, the City of Middletown Police Department responded to 37,474 calls for service and made 2,932 arrests. 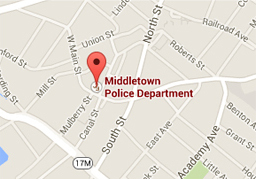 Overall reported crimes in the City of Middletown decreased by 21%, which is a substantial margin. Part I crimes, the most serious crimes committed within the city, decreased by 17%. There were also no homicides in 2018. Our agency completed a transition from Uniform Crime Reporting to Incident Based Reporting, which is the most current and up-to-date crime reporting method employed by the FBI. There are slight variations to the Incident Based Reporting System that might lead to short term statistical increases in criminal activity; however, these increases are due to classification differences and not differences in actual reported crime. What is of great significance is that our Part I crime statistics continued their five year downward trend, bucking national trends of increasing crime levels. This decrease clearly demonstrates my agency’s unwavering commitment to ensuring that Middletown remains an outstanding community to live, work, and engage in recreation. In order to maintain our progress, I encourage all residents to report suspicious activities, parking and traffic violations, neighborhood complaints, criminal offenses or any other issues directly to our agency so that our personnel can investigate their concerns and resolve them to their full satisfaction. Our agency is only as strong as the community we serve, and we must continue to work together! The City of Middletown Police Department added 9 new officers to our ranks in 2018, filling a substantial manpower void that had existed for more than two years. Retirements, resignations, and officer injuries had reduced the number of available patrol officers in our agency, placing a significant strain on staffing levels at a time when we were attempting to expand our community outreach programs and other police services. This new influx of personnel will permit our agency to return to a more secure staffing level, reducing overtime costs and ensuring that patrol officers are out on our streets protecting our residents and businesses. With the addition of these new full time staff members, our agency was able to promote three personnel to supervisory positions that were created due to retirements. Sergeant Joseph Tobin was promoted to the rank of Patrol Lieutenant, and Detective Robert Mecocci and Police Officer Eric Harget were both promoted to the rank of Patrol Sergeant. The fulfillment of these promotions brought our agency up to full supervisory staffing level, and affords us the ability to effectively monitor all patrol activities. Our agency also added two new part-time police officer positions, bringing us to a total of three, which will assist our agency in enhancing the law enforcement services provided in an around the Downtown Business Improvement District. These additional officers will provide a welcoming presence in the BID, which is undergoing substantial renovations and enhancements as part of the $10 million Downtown Revitalization Initiative Grant Program. The part-time officers will be tasked with providing building security, assisting with traffic and parking enforcement, enhancing pedestrian safety, and a variety of other important assignments. The officers will also supplement patrols during special events and large community gatherings. Almost all of our newly hired full and part-time personnel have completed their basic training, and are already serving our organization in their individual capacities. Three officers remain enrolled in the Orange County Police Chief’s Association Police Academy, with an anticipated graduation date of March 2019. In addition to augmenting our patrol staff in 2018, the Middletown Police Department, in conjunction with the Middletown Enlarged City School District, resurrected our defunct School Resource Officer Program for the first time in almost ten years. Our agency now assigns one police officer to each of the four public schools located within our City, providing each location with personalized security and an outstanding opportunity for positive police-community relations. The program had previously been discontinued in 2010 due to funding cuts and budgetary constraints associated with the Great Recession. However, after a number of high profile school shootings in 2018, the Middletown Police Department and Middletown school administrators met together to discuss implementing a new School Resource Officer Program that would enhance school security and build relationships with the youth in our community. The parties on both sides were able to work closely together and quickly reached a fair compromise that took into account the needs of both the police department and the school district. Our agency provided two police officers during the 2018 summer school session, and four full-time officers for the 2018-2019 school year. Officer Jonathan Reyes is assigned to Middletown High School, Officer Patricia Doremus is assigned to Twin Towers Middle School, Officer Sara Colletti is assigned to Presidential Park Elementary School, and Officer James Schoenleber is assigned to the Maple Hill Annex at Truman Moon. We are delighted to see that each of the officers has a close connection to the students in his or her building, and we are hopeful that the outstanding success of this program will carry it many years into the future. As our agency worked to increase our staffing levels, we also sought to greatly expand the level of community outreach we could provide to our community. Our police department prides itself on being a “full-service” organization, delivering our residents and businesses a diverse level of police related activities and services. We recognize that law enforcement is much more than simply making arrests and issuing tickets. Our relationship with our community must be based upon mutual trust and respect, and we worked diligently to bridge the gap with our residents. In 2018, our agency expanded our jump-out barbecue program that began in 2017. Our officers worked in conjunction with the staff at Middletown Recreation and Parks to set-up full scale barbecues in several of our city parks during various afternoons throughout the summer. We brought our partners in the Middletown Fire Department and Mobile Life Support Ambulance Service to play games, show off our emergency vehicles, and interact with children and their families. Each event enjoyed enormous success, and the impact upon our relationship with these individuals cannot be overstated. Our collaboration with community partners on our outreach programs expanded in 2018 to include private organizations such as Compass Motors of Dolson Avenue, who provided a substantial monetary donation to fund the jump-out barbecue program. They also sponsored a car seat installation event at their dealership. The Middletown Police Benevolent Association, the Middletown Professionals Firefighter’s Association and other local civic organizations donated funding and supplies to our community outreach efforts as well. In addition to the jump-out barbecues, our agency participated in other events such as Cops and Kids Field Day, the Junior Police Academy, Family Fun Day, Touch-a-Truck, Trunk-or-Treat, Movies in the Park, the Downtown and Run 4 Downtown Park Concert Series, Cops and Cookies, the Citywide Clean-up and much more. The Middletown PBA also hosted a special public showing of the law enforcement themed Disney film, Zootopia, in which members of the police department dressed up in character and provided food and drinks to a crowd of over 300 parents and children. These special events were in addition to our, regularly scheduled annual events such as the Classic 10K, the Ruthie Dino 5K, the Stars and Stripes Fourth of July Celebration, and the Run 4 Downtown, which were appropriately staffed and secured. Looking ahead to 2019, I hope to continue our success in coordinating these types of events, and I hope to work more closely with our community leaders, business owners, and residents to achieve new goals and greater community engagement. In addition to our community outreach services, our agency continued to provide opportunities for personal growth and development of our personnel through revolutionary law enforcement based training programs and other educational offerings. In September of 2018, Lieutenant Aaron Welch successfully completed a 10 week intensive law enforcement leadership program at the prestigious FBI National Academy in Quantico, Virginia. Lieutenant Welch is the fourth active member of the Middletown Police Department to receive this training, which provides an unmatched opportunity for educational enrichment and physical fitness training alongside more than 200 law enforcement executives from all over the globe. This is an opportunity that only 1% of law enforcement officers ever receive, and we are honored to be able to participate once again. Additionally, Lieutenant Frank Graziano attended a highly focused collegiate based course on Evidence Based Policing. This program employs 21st Century policing concepts and tactics to examine criminal activity from a 360 degree approach, placing a substantial focus on community engagement and collaboration. 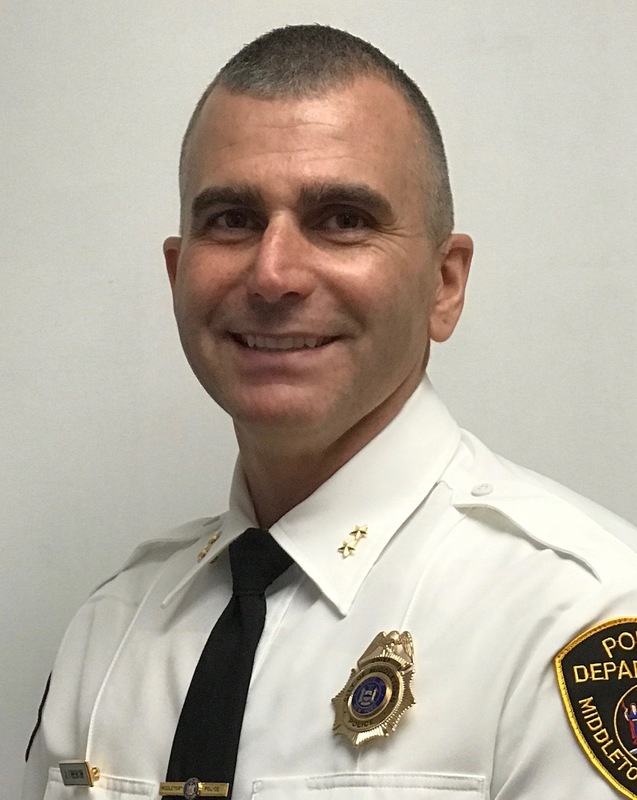 Lieutenant Graziano has brought new ideas and concepts to our organization, which will have a positive impact on reducing crime and enhancing the relationship with our community. In conjunction with Evidence Based Policing theory, every police officer attended a comprehensive discussion on the concept of “procedural justice.” Procedural justice focuses on ensuring the fairness of the criminal justice system and in enhancing respect and trust in police-community relations. Our agency also conducted department-wide active shooter training and hosted our first ever large-scale emergency preparedness drill at the Middletown High School, involving more than 100 personnel from law enforcement, fire, and EMS agencies throughout the area. I am confident that these types of programs and training events will complement our past training and development, and ensure that our officers continue to serve with the highest level of skill and professionalism. In 2018, our agency effected an arrest on four subjects involved in the 2017 homicide of Corey White Junior. 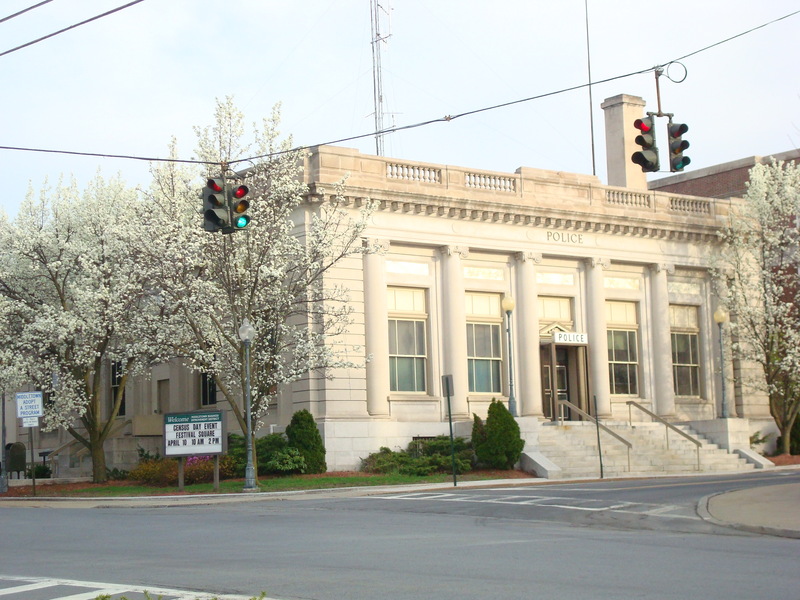 The investigation into that incident required hundreds of hours of manpower from the dedicated members of the Middletown Police Department’s Detective Division and Narcotics Unit, as well as Patrol. As part of the homicide investigation, our agency developed information about two rival narcotics street gangs that were operating within our jurisdiction. Our agency then partnered with the FBI Safe Streets Task Force, the New York State Police, the Orange County District Attorney’s Office, the ATF, and other law enforcement organizations to conduct a large scale take down of the members of the Coke Wave and Guap Gang. Three of the individuals have already pled guilty to their role in the homicide of Corey White, and they are currently incarcerated in New York State prison. I am steadfast in my commitment to working with our law enforcement partners to prevent these heinous types of crimes from occurring in our great city. Drugs and violence have no place here, and my officers and I will stop at nothing to ensure that our residents remain safe. In our fight against crime, our organization made a number of important technology purchases in 2018. In the beginning part of 2018, we purchased a public notification system called “Nixle.” Nixle allows our agency to communicate directly with our residents in the event of a major disaster, severe weather event, or other local emergency. Phone calls, text messages, emails and social media alerts can be disseminated in moments, rapidly providing our community with important updates and critical safety information. I encourage all residents and their families to sign-up for this extremely valuable, yet completely free service. Additionally, our agency purchased a new radar trailer for deployment to locations throughout the city to monitor vehicular traffic. In addition to providing motorists with a digital speed display, the trailer also has advanced analytical capabilities that have allowed our agency to tailor our speed enforcement to the times and locations where speed violations are most prevalent. Our agency also purchased two new electric based patrol bicycles for our Bicycle Patrol Unit. These bicycles were funded through assistance of the Middletown Cares Coalition and the Downtown Business Improvement District. The bicycles provide mechanical assistance to the officers riding them for assistance in traveling hills or long distances. These bicycles will prove invaluable as the city works to complete the long anticipated Heritage Trail extension. New officers have been trained and certified to utilize these new bicycles, and residents should keep an eye out for them as the weather improves in the spring of 2019. Another important advancement in our fight against crime is the opening of the Hudson Valley Crime Analysis Center, or the HVCAC. The HVCAC provides valuable support to law enforcement agencies throughout our area, with advanced abilities to investigate criminal activity and analyze information. Our agency has fully supported this venture, and provides one of our detectives for part-time analytical support at the HVCAC two days per week. The center has been instrumental in solving a number of serious crimes throughout our region, assisting our agency as we worked on a number of important cases during the latter half of 2018. The opening of the HVCAC will make all of our communities safer, and I am committed to providing support and assistance in any way possible. Looking ahead to 2019, I look forward to continuing the close relationship that our agency has with our community. I am eternally grateful to have the close support and excellent working relationships with so many community partners such as the Department of Recreation and Parks, HONOR, federal, state, and local law enforcement agencies, and many other critical small community organizations. I also would like to thank Mayor DeStefano and the members of the Common Council for their strong support of all of our initiatives and for working closely with us in our continued fight against crime. I will continue to work to expand our services and provide our city with the best law enforcement services possible. There are many challenges that exist ahead of us, but I am confident that we are well prepared to meet these challenges, and that together we will continue building upon our outstanding success. Get Connected for Emergency Alerts and Notifications! Get emails and web notifications to the address you select. Register now and learn more at www.nixle.com. 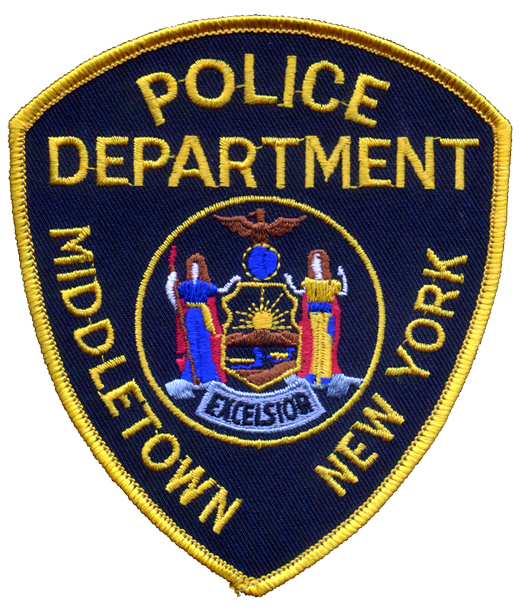 Welcome to the official website of the City of Middletown Police Department. It is my great pleasure to serve as your Chief of Police, and I am proud to share with you an overview of our organization and the various services that we provide to the community. 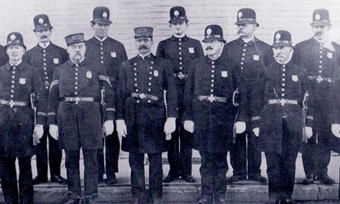 The City of Middletown Police Department has a proud history, one that dates back more than 125 year to 1888. For generations, the dedicated men and women of this police department have been protecting and serving our city, 24 hours per day, 7 days per week, 365 days per year, with the highest level of honesty, integrity and commitment. You have my firm promise that our officers will continue to work tirelessly to maintain the high quality of life that our residents and visitors have come to expect from the City of Middletown. In order to accomplish our mission and community objectives, we must have the respect and unwavering support of the people we serve. For this reason, community policing is a primary focus for our agency. I want to ensure that our work has deep roots in transparency, and that we work together with our citizens to develop mutual trust between the police department and the community. This objective undoubtedly requires a collective approach, with the open exchange of ideas and information, so that the complex challenges that exist within our city can be more effectively addressed. I am thoroughly committed to resolving our differences, and I pledge to work closely with our community leaders to strengthen my department’s bond with our residents through new and progressive outreach activities. I encourage you to review this website, as well as those of our community partners, to take full advantage of the various opportunities that exist within our community. Together, we can build a stronger, safer Middletown. Please remember that our department is here to serve you. For assistance, contact us directly at (845) 343-3151. Together, we can build a stronger, safer Middletown! Renewing our commitment to you! As part of our focus on building stronger relationships with our community, the Middletown Police Department is assigning officers to conduct foot patrols within the residential neighborhoods of the city. As the warmer weather approaches, you should begin to notice uniformed police officers on foot patrol in your ward. Please do not be alarmed! In fact, if you see an officer on patrol, we encourage you to stop them and say hello. Feel free to discuss community issues and other concerns you might have, so that our department can be more effective in addressing your needs. Chief Ewanciw believes strongly in building community trust, and he created this assignment as a means to provide residents with a means for direct communication with our police officers. We look forward to meeting you!